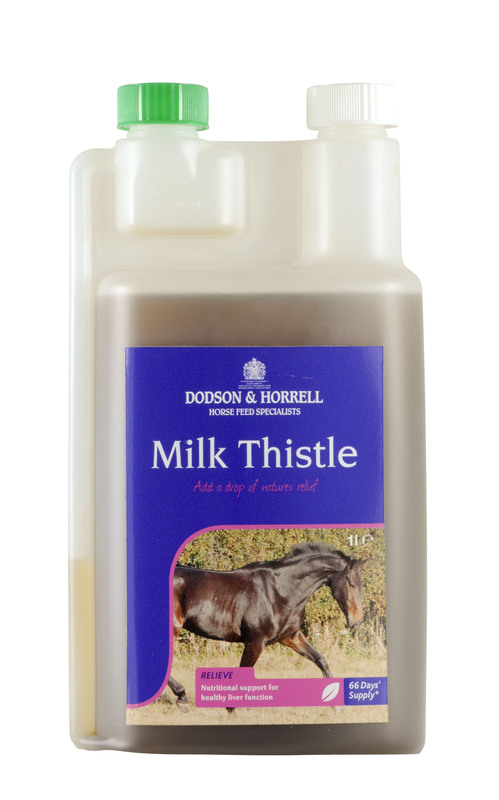 Dodson & Horrell Milk Thistle comes as either a liquid or dried herb. Silymarin, which is the active ingredient in milk thistle, has been proven to be beneficial for horses suffering from liver disease. It stimulates liver repair & detoxification. Milk Thistle is a powerful antioxidant, that is thought to be beneficial for your horse's general health, as well as their liver.